Q: How Can i enable full accounting features in Odoo 11 CE? You can enable full accounting features by activating developer mode. Q: How Can i enable Work Orders and Work Centers in Odoo 11 CE? "You can enable Work Orders by activating developer mode. Settings→Users→Select User→Enable "Manage Work Order Operations"
Q: How can i change the language of Odoo? Q: How can we set seperate routes for different Sale order lines which is in the same Sale order? Q: How can we configure a Blanket/Tender in odoo purchase? Purchase→Purchase Agreements→Create New Record→Select Blanket/Tender from the field "Agreement Type"
Q: How can we Enable Account Mapping in Fiscal Positions? Settings→Users→Select User→Enable "Show Full Accounting Features"
Q: How can we set subtasks in odoo project module? Tasks→Create new Tasks →Create Sub Tasks"
Q: How do I set initial account balance in Odoo? Initial balance for an account is managed by creating a journal entry for the account. For example, if we have 10000 INR in our bank account. First create an account with type equity.Then create a journal entry with bank journal. Now credit 10000 in your newly created opening account and debit it from default bank account. Q: How to Manage Indian GST in Odoo? Q: How can I manage multiple invoice Payments in Odoo? To make payment for more than one invoice, create a payment for the customer from accounting > sales > payments. Now go to dashboard > customer invoice > more > payment matching. Select the payment and invoices to be matched, click on reconcile. Q: How to manage Petty cash in Odoo? First we need to create a journal(type should be cash) and a new account for petty cash. From Dashboard create a new transaction for petty cash and reconcile with the required account. Q: How to manage Post Dated Cheque in Odoo? Q: How to import bank statements in Odoo? Online syncing of versions are available in enterprise edition. In community version, user can import bank statements in csv format. Q:: Does Odoo supports single contract for multiple employees? No. But an employee may have multiple agreements. Q: How do I deduct unpaid leaves from payroll in Odoo HRM? Q: Does Odoo has the feature to carry forward leave from a year to adjacent year or month to adjacent month? In Odoo there is no need of leave carry forward, granted leave will be there until employee took the leave. Q: Does Odoo supports attendance integration with Payslip? Q: How do I automate 'leave allocations' in Odoo? Q: Can we attach biometric attendance devices to Odoo? Yes,But all the devices are not compatible with odoo. You can use odoo compatible devices. Q: Does Odoo have overtime allowances feature? Overtime allowance can be added through a salary rule, but can't be automated. To make the automated calculations we have to add some customizations. With the salary rule, you can create a new rule of type ‘Allowance’ and can input the allowance manually or may add the conditions. Q: Does Odoo supports loan and advance salary? Basic Odoo doesn't support loan and advance salary. But there are a lot of apps which are customized for loan and advance salary..
Q: Does Odoo have appraisal methods? Odoo supports 360-degree appraisal method. But from Odoo 9&10 onwards the feature is available only on enterprise version. Q: Can I post job vacancies online with Odoo? Yes, you can install extra addon online_jobs from odoo apps. So you can publish the jobs online. Q: How to sell the products like books/pdf contents via Odoo? On activating this option, in the product form, you can see a new smart button ‘File’. Click the button to Add files. Q: What is customer lead time? The average delay in days between the confirmation of the customer order and the delivery of the finished products. It is the time you promise to your customers. Q: What is Deposit Product in Oddo Sales module? This is a default product used for recording payment advances in Sales. Sales person may not have access to accounting section, thus he can’t make direct entries to accounts regarding advance payments. Instead he can create a Deposit Product and accounting section will record it accordingly. Q: Does 'Odoo' have VOIP integration facility? VOIP integration is not available in community version of Odoo. But it is available in Odoo Enterprise Edition. Q: How to see Margin and Total Margin in Odoo Sales module? To see margins in sales, you have to activate the option “Display margins on quotations and sale orders” in sales settings. Q: How to set terms and conditions for the sales process in Odoo? You can set the terms and condition for the sales from the sales settings. This terms and condition will be displayed under each sale order. 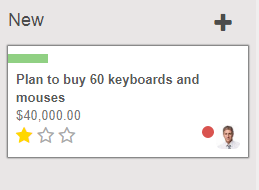 Q: Is it possible to edit the confirmed sale order? Q: : In Odoo, how to manufacture components before they are used in a bill of materials? 2. Create a Manufacturing Order for the finished product. 4. Start the production of the semi-finished product from the newly generated Manufacturing Order. Q: How to Sell your Product as Kit in Odoo? • Create a bill of materials for the kit product. • Add each component and its quantity. Q: How can I trace a Product and its Components in Odoo warehouse? Now, while you create a manufacturing order, at the end of the production tab, assign a Lot Number to your finished product..
Q: How to Set Production Routings in Odoo Manufacturing module? This will enable new menu in dash board to manage Work Center, Routing and Work Order. Create a new routing and different work orders. Once your routing is created, associate it with your bill of materials. Q: How can I manage Subcontract in Odoo? •Associate the routing to a Bill of Materials. • •	Validate the related Internal Transfer in the Warehouse module in order to deliver the components to your subcontractor. • To complete your production process once the finished products back, mark the MO as produced. • Have a look at the stock of your finished product. Q: How to setup manufacturing procurement in Odoo? • Then apply a Reordering rule. • Create a Sales Order for this product and confirm it. • Run the Scheduler in the Warehouse module. • Launch the production of your finished product. • Deliver it to your customer. Q: How to handle By-products in Odoo? Tick Bills of material may produce residual materials and save changes. After activating this, we can see an additional tab in the BOM form. • Here you can add Byproducts. • If we add the byproducts it will reflect on the manufacturing order too. Q: How to handle multiple orders at a time. Q: Does Odoo POS support cash control? Yes of course. You can enable this feature while you create a POS. Or you can change your POS settings anytime and enable the feature. There is a checkbox to enable cash control in POS form. Q: Can I reprint the ticket of a previous order from POS window itself? Q: How to add a new payment method to POS? Actually, all the payment methods available in POS are accounting Journals of type Cash/Bank. So, to add a new payment method. • You can create a Journal first, from Accounting -> Configuration -> Accounting -> Journal ->Create and mark it as ‘Active in Point of Sale'. But in second method there is a high possibility of duplication of journals. So it is better you follow the first method i.e. create a Cash/Bank Journal and mark it as ‘Active in Point of Sale' In either case, the created Journal will be listed in Point of Sale-> Configuration->Payment Methods. After that you can add this Journal as a payment method. The option is available in ' Available Payment Methods’ section of POS form. Q: How to give global discount in Odoo POS? Odoo included this feature from version 9 onwards. You can enable Global Discount from Point of Sale settings. By default, Odoo only has the ‘percentage’ type discount. But there is some third-party Add-on available in Odoo App store that has more advanced discount features. Q: How to control credit billing in Odoo POS? This feature is not available in Odoo. But there is a number of third-party add-ons available in Odoo App Store providing this feature. Q: How does the Odoo POS work while it is offline? The POS will cache all the orders to the browser and will sync with Odoo whenever it is reconnected to the internet. Q: Why my Odoo E-commerce site does not have a Shop Page? If ‘Shop’ page is missing from your Odoo E-commerce site you can add it manually. You can find this option on upper right corner of your site. Choose New Page from the popup. New page will be created. Change the Url to /shop and Save. Now when you click the page you will be directed to your shopping page. Q: Is it possible to display hover description for products in Odoo E-commerce site? Click ‘Product Description’ to view product description along with product list. Q: How can I set multiple images for products in Odoo E-commerce site? Yes it is possible to set multiple images for products in website. For this, you need to enable an option. Select ‘Several images per product’ and apply the changes. Now open product catalog (Website Admin -> Product) and select a product, you can see a new tab ‘Images’ where we can add multiple images for this product. Q: Is there any way to set ‘suggested products’ or ‘Associated products” in Odoo E-commerce site? Now open product catalog (Website Admin -> Product) and select a product. Under Sales Tab you can see fields to add Alternative Products and Accessory Product. Q: How can we set special price for products or customers in Odoo online sales? We should use price lists for this purpose. Now you can see a new menu ‘Pricelists’ under Website Admin -> catalog appeared. Now you can add custom prices using this list from Sales tab in product catalog. Q: How do I add the delivery costs in Odoo online sales? Here you have the option to add delivery charges under Pricing Tab. User can view this option when he choose delivery option. Q: What are the payment methods available in Odoo E-commerce site? Install and configure any of the payment option available. Q: Is it possible to save and reuse credit card details in Odoo E-commerce site? To ease the payment of frequent customers, you can let them save and reuse a credit card details if they wish to. If so, a payment token will be saved in Odoo. This option is available with Ingenico and Authorize.net. You can turn this on from the Acquirer configuration form. Q: How to integrate Odoo with external shippers? Q:Can I provide discounts in Odoo online sales? To give discount on online sales, there are two options. Either you should create a Price List, which will set the product price according to your needs or you need to use a custom module. There is a custom plugin ‘Website Coupon Code’ in Odoo app store. This module facilitate coupon based discounts. You can gift discount coupons to your special customers. Q: How can I follow up my leads in Odoo CRM? Or create from your Pipeline itself. Click the Dot in bottom right corner to add Next Activity. Q: Why the Help Desk option in CRM is missing in Odoo9 and 10? Helpdesk (“crm_helpdesk”) has been ported to “project_issue” module. It does everything related to helpdesk/claim, like assignations, portal view, timesheet on help, follow-ups, workflows etc. Q: Is Odoo CRM is integrated with Email or SMS? Odoo CRM is integrated with E-mail. In fact E mail facility is available in entire Odoo ERP. In case of SMS, it is not. But you can purchase third-party SMS services and integrate it with OdooERP. It is just like customization. Q: How can I see the total amount payable to a customer in Odoo? There is a field “Total Payable” & “Total Receivable” in customer master. Note that you should enable developer mode to see these fields. 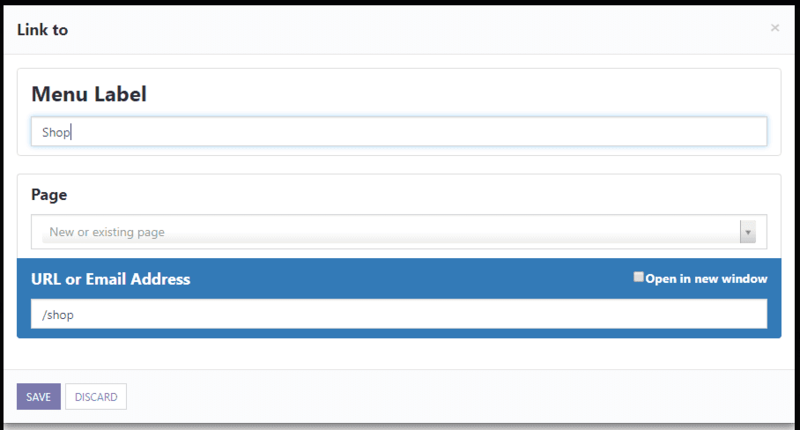 Q: Leads menu is missing in my Odoo CRM? Q: Is it possible to generate lead automatically from incoming E-mails in Odoo? Sales->configuration -> CRM-> Leads Email Alias. Note that you should configure “Incoming Email Server” for this feature. Q: How to setup outgoing Mail Server in Odoo? Goto settings->general settings->configure outgoing mail server->create new and type the following details. Q: How to setup incoming Mail Server in Odoo? Goto settings->general settings->configure incoming mail server->create new and type the following details. Q: Does odoo allow customer claims of product or service after sales? Yes, you can either manually create a claim or use a specific email alias to manage the customer claims after sales. Q: Does Odoo allow you to setup sale layout, page-break, sub-totals or separators on sale invoices? Yes, For that you have to install the module sale_layout. Q: Does Odoo allow to sell a product in another currency? Yes, For that you should enable the option Multi-currency under settings->accounting. Then you can create a new pricelist with the currency set to a foreign currency, and the use this pricelist for the sales order. Q: How to Build an online quotation? Q: What do you mean by backorder in odoo inventory? A backorder is the remaining items after a partial delivery. This is particularly useful when you received/send items less than the initial demand. For example you plan to sell 5 products to your customer, but could only transfer 3, then the remaining 2 will become the backorder. Q: What is the use of lots or serial number in odoo? Lots or serial number helps to keep track of the transaction or products. This becomes handy when you want to trace the stock movements. Q: What is the use of 2 step and 3 step delivery or receiving in odoo? 2 step and 3 step delivery or receiving is useful when you want a quality control of goods or you want to pick and pack the goods before delivery. Q: How do you enable 2 step and 3 step delivery or receiving of goods? Q: How to enable dropshipping in odoo? 1. Setup a default supplier for the product you wish to dropship in the product form. 2. In the settings -> warehouse -> enable dropshipping. -> sales settings -> choose MTO Dropshipping on sale orders. 5) You can see that a Purchase order for the same product is automatically created by odoo. You can then click on confirm order and the shipment will be delivered directly to the customer. Q: Is it possible to change the date format in odoo? Yes, other than the default date format, you can set your own preferred date format in odoo. For that Goto→Settings→Translations→Languages → Select a language (for eg. : English) → Set your Date Format. Q: How odoo manages incentives? Q: Is it possible to get opening Balance in odoo accounting Reports ? Odoo Inventory has scrap management feature, where you can select products, No.of product/Quantity, and Scrap Location. These Selected Product will be scrapped, and the Quantity will be reduced from the Inventory. Q: How to change the sequences format of Invoice Number in Odoo? To manage sequences, first you have to activate developer mode. Then go to, Settings → Sequences and Identifiers→ Sequences → Select the sequence you want to alter. Q: How to create a new Warehouse Location in Odoo? In order to create new locations, first, you must allow the system to manage multiple locations. In the Inventory module, open the menu Configuration→ Settings. In the Location & Warehouse section, tick ‘Manage several locations per warehouse box’, then click on Apply. To create a new warehouse. From the Inventory module, open Configuration→Warehouse Management→Locations; In the Locations window, click on Create. Q: How to handle customer tips in Odoo POS ? In order to enable this feature, we need to select the Tip product in the POS configuration. Go to Point of sale→ Configuration → Point of sale → Select a POS. Under the 'Features' section add the Tip product. Q: What is Reordering rules in Odoo? Reordering rule will automate procurement order whenever forecasted Quantity of a product is zero. Add a vendor with a minimal quantity greater than zero. Q: In Odoo manufacturing, where can I find the current inventory Value? You can get your current inventory values from Inventory Valuation section. Inventory→ Reports → Inventory Valuation.